Plans to privatise child protection services in the UK have been revealed. The proposal in a leaked document is for the Department for Education to allow local authorities – councils – to outsource children’s services. These powers include making decision to remove children from their families. Private providers, reports the Guardian newspaper this morning, “will allow authorities to ‘harness third-party expertise’ and ‘stimulate new approaches to securing improvements’ for safeguarding services outside ‘traditional hierarchies’…”. Ah yes, there is that ‘expertise’ again. Along with securing…improvements and replacing ‘traditional hierarchies’ with presumably non-traditional private hierarchies. On an interview on Radio 4 earlier, the word ‘innovation’ was used by a defender of the proposal. Again, only the private sector can innovate. 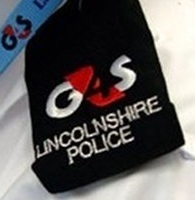 G4S, one of the innovation-led private sector companies thought to be lobbying for this market to be opened up, has innovated in not providing security for the Olympics and overcharging for its offender tagging services. Actually making up some tagged offenders. Another company, Serco, innovated in manipulating figures showing it had met targets in outsourcing family doctor services. Let’s also talk about Atos which in March this year pulled out of its £500m capability assessment contract after evidence of widespread incorrect ‘judgements’ on claimants’ fitness-for-work, leaving many without benefits.